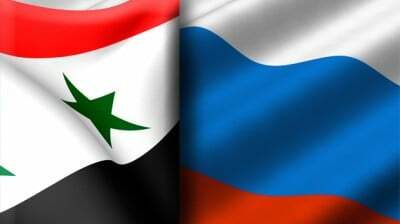 Russian Ambassador in Lebanon Alexander Zasypkin stated that Russian President Vladimir Putin will announce his initiative for resolving the crisis in Syria and combating terrorism during the UN General Assembly session on September 28th. In a televised interview on Friday, Zasypkin said that this initiative consists of three stages, and that it comes as a result of talks held between Moscow and countries with influence on the situation in Syria. He explained that the first stage focuses on uniting all sides to take out ISIS in Syria, while the second involves having influential regional and international forces pressure armed groups to embrace a political solution, and finally the third involves uniting efforts to stop the funding of terrorists and prevent them from entering Syria from neighboring countries. On a relevant note, the Russian Foreign Ministry’s spokesperson Maria Zakharova asserted that Moscow is prepared to hold dialogue with Washington regarding all issues, including the Syrian issue, asserting that Russia has never refused to hold such dialogue with the United States. Meanwhile, Russian Defense Ministry spokesperson Igor Konashenkov said Russian Defense Minister Sergey Shoygu discussed with U.S. counterpart Ashton Carter in a two-hour phone call the need to coordinate efforts to fight terrorism, in addition to discussing the situation in the Middle East with emphasis on Syria and Iraq. Konashenkov said that the two sides’ viewpoints regarding most of the issues they discussed were either close or identical, and that they agreed to continue discussions in the future. Meanwhile in Moscow, Russian Deputy Foreign Minister and the Russian President’s Special Representative for Middle East and Africa Affairs Mikhail Bogdanov held a meeting with the U.S. Ambassador in Russia John Tefft, with the two sides discussing the situation in the Middle East and North Africa. The Russian Foreign Ministry said in a statement that Bogdanov and Tefft focused on resolving the crisis in Syria on the basis of the Geneva communiqué issued in June 30th 2012, in addition to discussing unifying efforts to confront the threat of ISIS.